Mettrum Health Corp is a medical marijuana, licensed producer in Ontario, with a state-of-the-art research and production facility located within Bowmanville. 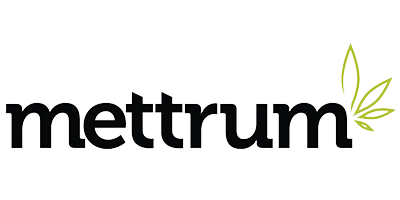 As a Health Canada licensed cannabis company, Mettrum ltd, is committed to the ongoing research of their production of Mettrum weed and Mettrum oil products. The Mettrum team is committed to helping their patients find relief and comfort through medical cannabis, supportive education and compassionate care. Excellent customer service and high quality product. Sure, they had the recall, but multiple other LPs did as well and Mettrum resolved the issues quickly. I had a refund and was given amazing treatment. The product sells out fast because it is so great! Hopefully the new Canopy takeover will bring a more consistent product in stock. All in all, exceptional customer experience and superior product. Mettrum has been providing cannabis to me for about 3 yrs. now, and their services have been really good. It's only within the last few weeks that I've noticed that there is little to none of my product, so, yeah, I'm upset and frustrated. It doesn't help reading reviews that says Mettrum sells out of new product within an hour! The thing is though, they've treated me well and their customer service has been exceptional and their product is amazing. I'll continue to think that they do care and that they want to be and do the best for their clients. This company does not care about the quality of product they sell and the effect of the chemicals they use. It's a cash grab at the expense of the consumers health. Mettrum has been caught selling product that has been sprayed with harmful chemicals and they openly admit that they had no clue what they were spraying their product with. Mettrum set up a 1800 line to deal with customers who have been sold this product over the last few years. Upon calling I was transferred to 3 different people because no one could answer my questions. Ultimately I would like to think they can't get away with selling medicinal product that actually harms people, but they are still in business and signing up more clients daily. Please do your research before using this company! Chemicals are not required to grow medicinal Marijuana, and there are licenced commercial producers that do know how to grow safely. Mettrum is not one of those companies. BUYER BEWARE. The government should pull the license of this irresponsible company asap. One star, only because you have to in order to post a review.This company is undergoing massive administrative changes. Fine. How does that justify ripping patients off for weight of their medication? A sales person from Mettrum told me "Were within our rights, health Canada allows for .5 less than said weight, so say it's 10g, they're allowed to send you 9.5 and that's totally cool by Mettrum's standards because it's within health Canada guidelines. Nice.Shipping via (I need my medication now, not two weeks from now) or Canada post have both been hit and miss and inconsistent. When you pay 17$ + tax on shipping for next day delivery you'd think you'd get it shipped next day, but I have to wait 4 days for my next day delivery according to the REP on the phone.This company is disgusting right now, on paper and off paper it's a untamed zoo at Mettrum.Lets hope when TWEED takes over they kick all the administration to the curb and tell them to go find a job they're better suited for, one NOT dealing with peoples medication.How can you guys at Mettrum call yourself respectable when DRUG DEALERS on the street are more respectable. A drug dealer will let you see the product (Mettrum doesn't show pictures anymore even, they just show you the "add to cart" option), a drug dealer will 99% of the time NEVER rip off their customers, not even for a .5 knowing a brawl could potentially happen or worse, loosing a valuable customer.It's funny how going legal has turned my life more stressful than it was when I was just buying it off the street (and getting better quality / quantity and always able to see / smell and even sometimes try the product)Again, what the heck are you guys doing at Mettrum to earn our respect? (Pacients). Look at your reviews across the internet, you guys have made a very, very bad name for yourselves between ripping people off / using harmful chemicals on your plants then sending them to patients claiming to "not know" what your putting into your products.Would I advise the use of this company? Absolutely NOT. Try a different LP or stick to buying from a drug dealer because these guys have been corrupt from day one.Why shouldn't you buy your medication from Mettrum? Because the chances your going to get chemical product / under weight product / poorly grown and cared for product are higher here than they are taking a drive to the city and going to a dispensary or finding some shady looking person selling it. "Chris Anderson3 weeks agoCyanide laced pesticides and often no product whatsoever for weeks at a time. Currently being sued. Takes on more patients than they can supply." Much cheaper than other medical companies. Extra discounts for the disabled, and amazing rating system that allows you to know how powerful the medicine is. They also have oils. The lawsuit or whatever for pesticides was complete nonsense as we have eaten those pesticides from our local grocery store fruits! Completely unreliable. They can't keep up with demand. Weeks and weeks go by with no available product. When it finally becomes available, it doesn't last long. If you manage to order something, you cannot then obtain a renewal when needed because - they have nothing available. This is not useful for a company that is supposed to be supplying a MEDICINAL product!The website is crashing and can't keep up with customer needs. You can't login so you can't place an order. You can't reach anyone by phone - no surprise there are 200 callers ahead of you in the queue - so you can't place an order by phone, either. Thanks to the way this is set up, once registered with a provider, you cannot just switch providers because yours has nothing available. Absolutely useless being registered with a company that cannot serve the needs of its customers. They need to step up their game or get out of the way so someone else can provide the service.